As your water heater chugs away and works through days, months, and years of constant use, it is to be expected for minor repair issues to occur. Through proper maintenance and immediate repair, Champion Plumbing will extend the life of your water heater. Our licensed and insured plumbers are qualified to work on both tankless and traditional water heaters. For more than 14 years, our team has provided fast and reliable service to clients needing water heater repair in Minneapolis, MN. If your hot water heater is not functioning as it should, our plumbers are available for emergency tankless water heater repair. Immediate service is available. Without hot water your home may not be properly sanitized, you won’t be able to take hot showers, and you will potentially be limited from cooking. Let us help you today with traditional or tankless water heater repair. Keeping an eye on your water heater will keep your system running properly and potentially add to your property value. When you invest in a tankless water heater replacement, this update will likely add value to your home because it a highly desirable upgrade. Tankless water heaters take up minimal space, never run out of hot water, and save you money on electricity bills. Let us help you decide if you need a water heater repair or a replacement for your home. If you are ready to keep your water a constant temperature, contact us today for water heater replacement. 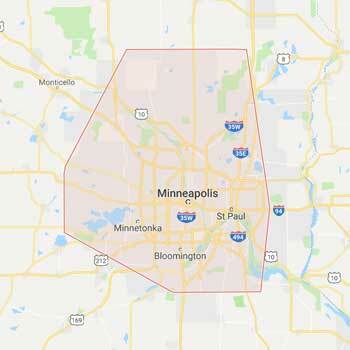 We are proud to serve clients in the areas of Minneapolis, St. Paul, Bloomington, Edina, Prior Lake, and the surrounding communities.